Theya��re a bunch of happening entrepreneurs, and theya��re all over the age of 65. a�?I run my own website called Ask ChitVish, and Ia��ve got more than 6,000 followers on Facebook,a�? says 76-year-old homemaker Chithra Viswanathan. a�?I write recipes that are very easy to follow, and therea��s a cookery app to go along with it, too!a�? Viswanathan, fondly known as Internet Maami, is just one of roughly 25 active individuals at the senior-citizens social support group, Poornashakti. 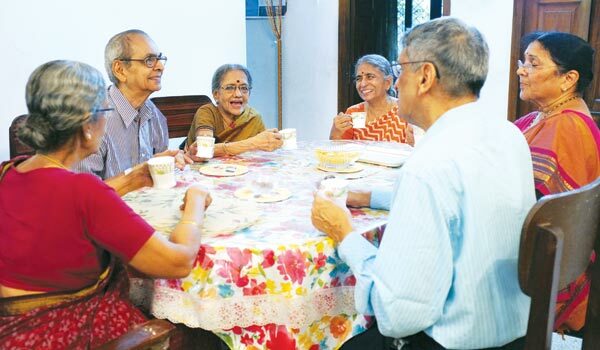 Started in 2014 by the India Immersion Centre, the NGO wing of Global Adjustments run by Ranjini Manian, Poornashakti gathers senior citizens on every second Friday of the month to meet and greet over lecture-demonstrations (which have featured the dancing duo Dhananjayans, and actor Charuhasan), discussions, physical exercise and chai. Amongst the small, but growing group of retired doctors, professors and even the parents of Facebook Indiaa��s CEO Kirtiga Reddy, SG Rajagopalan makes a name for himself. 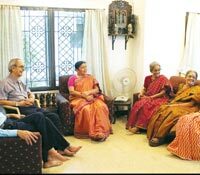 Though trained as an engineer whoa��s worked in Nigeria and Sri Lanka, the 85-year-old explains that Carnatic music has always been his passion, which has led him to become the founder and secretary of the Nayaki Cultural Association in Kotturpuram. a�?I organise kutcheris locally because people in my colony dona��t want to travel so far to attend concerts. Wea��re doing very well. The association is now celebrating its 21st year!a�? His wife is no less active. The author of multiple cookbooks and a devotional singer whoa��s performed roughly 40 times on Doordharshan, Sulakshana Rajagopalan spends her time giving back to the community by teaching 15 slum kids Vishnusahasranamam and verses from the Bhagavad Gita. a�?I want to be useful in my old age by setting young children on the right track,a�? says the octogenarian. AV Jayaram, 83, now keeps himself busy by running the Karthik Fine Arts sabha in Abhiramapuram and frequents Alwarpeta��s TAG Centre for monthly lectures and traditional performances. For him a�?keeping in the right state of minda�? and touching base with Indian culture is very important. As for Manian, Poornashakti has been instrumental in improving her relationship with her mother-in-law. a�?Ita��s a working-womana��s nightmare, having to juggle a job and home life! But now, Ia��m more relaxed because my mother-in-law, Raji Manian, is no longer bored in my absence. Shea��s met so many like-minded people and shea��s happy.a�?